This Friday–Sunday only join us in helping the Salvation Army to kickoff their holiday fundraising campaign! We will be offering this very special Christmas tote for $5 with 100% of the proceeds going directly to The Salvation Army of Champaign County. 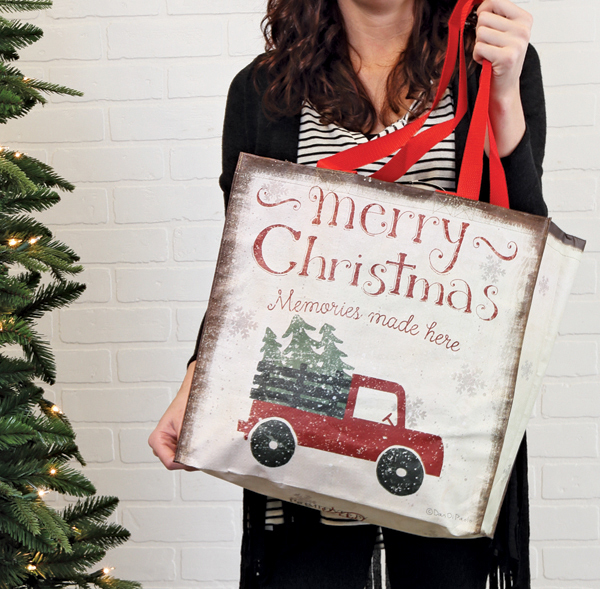 Totes can be purchased this Friday–Sunday only during our Totally Christmas Open House. Additional donations can also be made to the Salvation Army in store. Our goal is to sell as many totes as possible at Prairie Gardens and our 4 Jeffrey Alans locations, giving us the opportunity to donate over $14,000 between all our stores in support of their local Salvation Army Chapters. The Salvation Army provides programs to help those seeking the basic necessities of life – food, warmth and shelter. Salvation Army bell ringers and red kettles help signal the start of the holiday season, which is the biggest fundraising push for the organization and helps remind us how important it is to help make others holidays a little warmer.